The #2 Duke Blue Devils invade the KFC Yum! Center and look to improve on the Coach Krzyzewski squad’s 21-2, 9-1 ACC record. Duke is fresh off a win over Virginia (the 2nd win over UVA this season) and owns a variety of elite level wins during the 2018-19 season including: Kentucky, Auburn, Indiana, Florida State, and the two wins over Virginia. Somehow this Duke team did manage to lose to a very good Gonzaga team and a very OK Syracuse team inside Cameron Indoor after leading 14-2 to begin the game. Syracuse was able to do that by getting Duke to settle for 3-pointers with Jim Boeheim’s famous 2-3 zone. Duke shot 43 three pointers during the game and hit just 9. Getting Duke to settle for 3s is a huge component to beating the Blue Devils (Duke shoots 59.0% from 2-point range) , but very few teams play the 2-3 zone like Syracuse and Louisville has really just shown a 1-3-1 zone this year and rarely (if ever?) a 2-3. In the end, the Cards will have to play their own game. 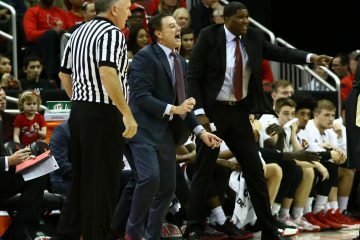 Teams that foul Louisville are playing with fire as the Cards are one of the best Free Throw Shooting teams in the nation. Duke doesn’t foul. 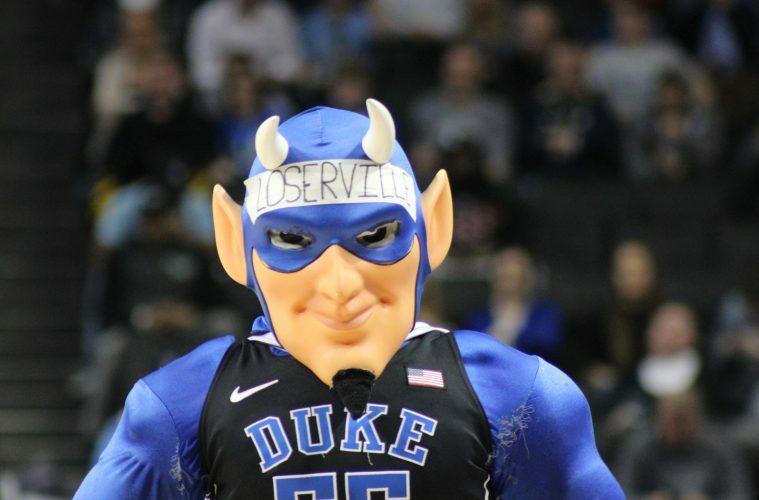 In nearly every metric that we routinely measure Duke bests Louisville on paper: Scoring, Scoring Margin, FG%, 2 point %, Team Fouls, Opp FT Attempted, Opp Shooting %, Opponent 2 point %, Opponent 3 point %, Rebound Rate, Assists, Turnovers, Blocks, Steals, Opponent TOs, and Opponent Blocks. The only metrics that Louisville fares better than Duke on paper are: 3-point FG%, FT %, Opponent Team Fouls and Opponent Steals. It’s not a pretty picture and when we get to the roster section of this comparison it will be clear why (if you didn’t know already). Louisville has struggled against elite level defensive point guards during the 2018-19 season. Think Ashton Hagans, think Trent Forrest. Unfortunately for the Cards the pressure will continue on Christen Cunningham until UofL figures out a way to relieve some of his ball handling and offensive starting responsibilities. 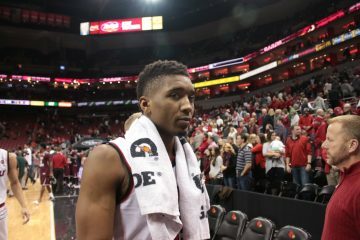 Teams are going to continue to make CC work overtime in an effort to wear him down and erode Louisville’s offensive effectiveness. CC makes the Cardinal engine go and Tre Jones is the next elite level defensive point guard that CC will have to deal with. Unfortunately for CC he’ll also have to work extra hard on offense as well as Tre Jones also is a big component to the Duke offense and the Blue Devils have looked lost without him at times during 2018-19 (he played 6 minutes v. Syracuse). But the biggest problem for Louisville is that the Cards just don’t have the bodies to match-up with Cam Reddish, RJ Barrett and Zion Williamson. It will be interesting to see who Dwayne Sutton finds himself on the most often as he is Louisville’s most accomplished wing defender and has the body type most prepared to defend the Reddish, Barrett duo. But Louisville has nobody who can really match Zion. My guess is Fore will pick up the early Assignment on Reddish, Sutton on Barrett and Zion will likely become Jordan Nwora’s responsibility. Between Reddish, Barrett and Williams the Blue Devils have one of the most potent set of wing players college basketball has seen in some time. Sutton & Nwora are great college basketball players but these 3 Duke players have set the scene on fire. Offensively what can the Cards do? The worst thing UofL can do is sit back and fire threes. 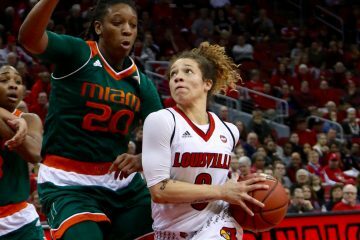 UofL must create offense and get Duke moving defensively, otherwise it will be game over. 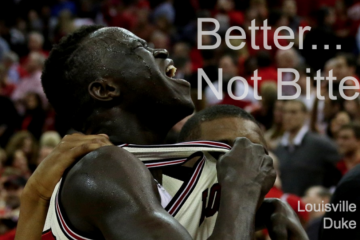 Defensively the Cards have to deny the paint….. a job easier said than done. In the post Malik Williams and Marques Bolden are a solid match-up. Bolden’s shot block compliments his teammates propensity to block shots as well. Williams might be able to get some action when he steps out to shoot and if UofL can use Malik as a weapon maybe they can find something here. – 6-0, 185, Sr. 6-7, 202, Fr. – 6-5, 215, Jr. 6-8, 218, Fr. – 6-8, 215, Soph 6-7, 285, Fr. – 6-11, 215, Soph 6-11, 250, Jr. The Duke bench is basically three players with other guys occasionally seeing action. But saying Louisville has an advantage with its bench is really stretching it. Louisville does have more bodies that they can utilize in this match-up but how many of those bodies will really be effective in this game? Darius Perry and Ryan McMahon have to be able to carry some of the ball handling duties and keep CC fresh…. and they have to do it without turning the ball over and keeping the Louisville offense in an even flow. It’s a lot to ask. Louisville could use VJ King’s body type in this game….. but can Chris Mack put VJ out there for long stretches? In the end the most likely positive contributor in this game off the bench is sometime starter Steven Enoch. Enoch should be able to be effective vs. Bolden when rotated and could even spell Nwora for a time against Zion, but is anyone really going to stop Zion? – 6-6, 215, Jr. 6-7, 222, Jr.
– 6-10, 260, Jr. 6-10, 234, Jr.